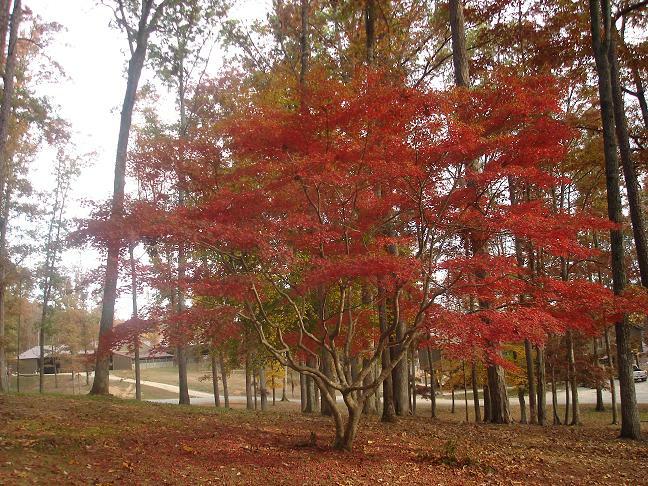 Eagles Rest, nestled at the foot of Lookout Mountain in Flintstone, GA is a most ideal location. 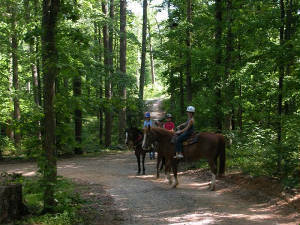 Approximately four hundred acres of beautiful woods and mountainside trails are available for hiking or riding horses. 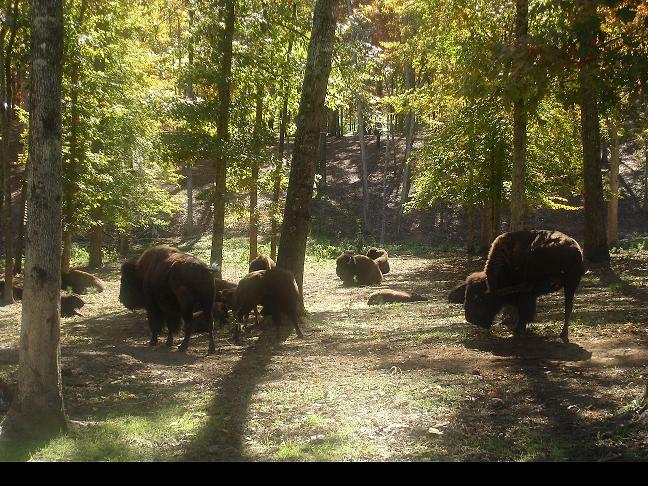 You might get lucky and see gorgeous long horn cows or deer grazing in the kudzu, some wild turkeys scratching around or hear the call of a coyote. Bring your binoculars and catch a glimpse of a woodpecker, red tail hawk or even a bald eagle. You can swim or boat in the small lake, fish from the gazebo or just enjoy gazing across the way at the herd of Woods Bison. We have healthy buffalo meat products for purchase. Eagles Rest raises and sells top breeds of registered ABCA 'working' border collies. 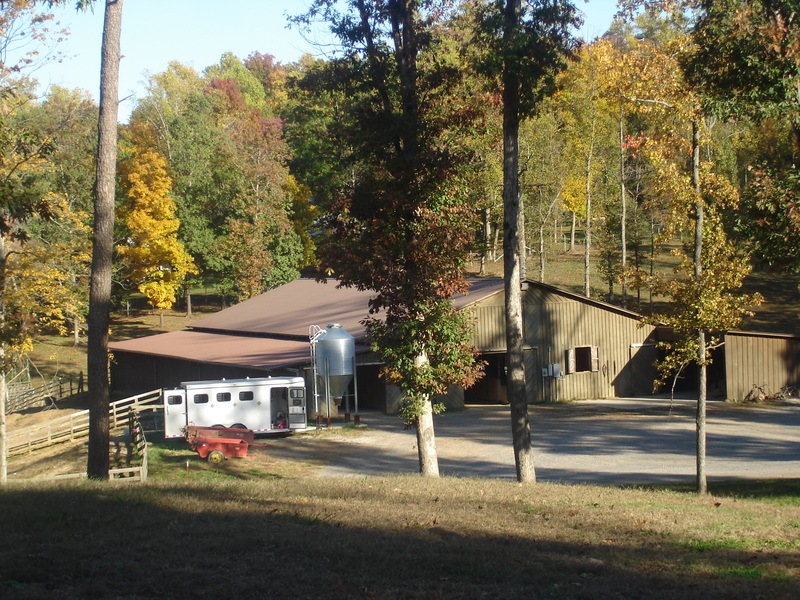 EAGLES REST EQUESTRIAN CENTRE offers a wood barn and small indoor riding ring, a 100' X 200' covered arena, an outside riding ring, over 40 stalls, and more. 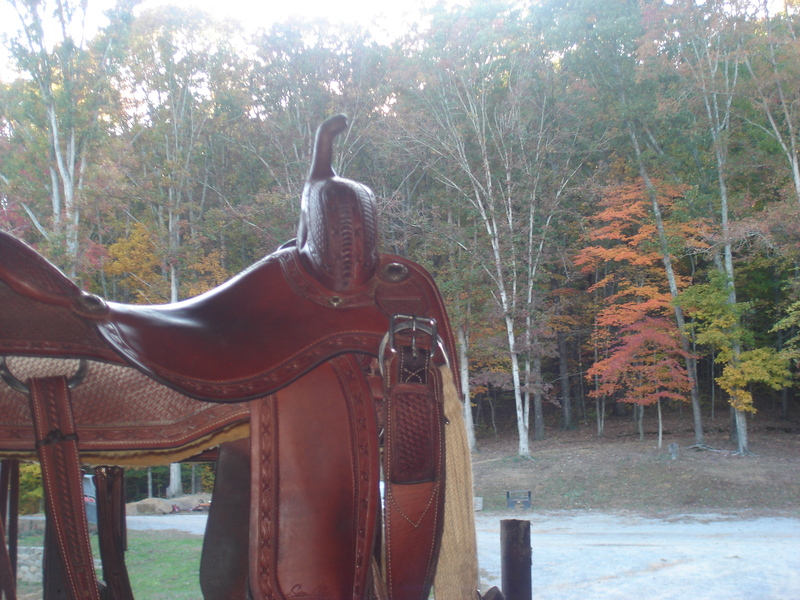 All riding rings and arena have the finest quality river sand. There are eight complete hookups for those with living quarters horse trailers or other recreational vehicles. If you need a 'Bed and Breakfast', there are bedrooms available at the ranch headquarters with a shared shower and kitchen. You might want to get 'lost' in a good book in one of the rockers or porch swings. 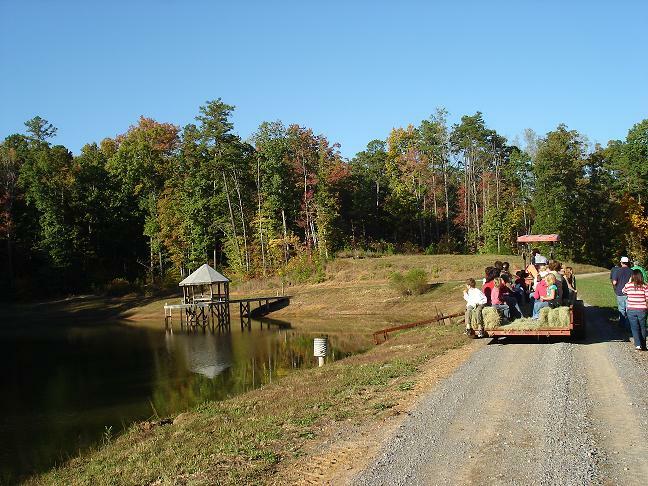 Let the kids enjoy their very own swing and slide play set, or take the entire family on a old fashioned hayride. 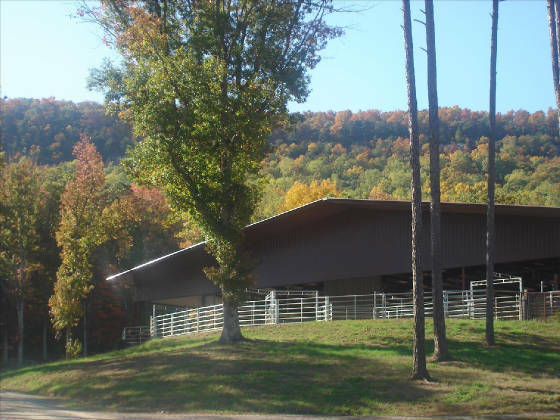 You may not feel the need to leave the ranch until it's time to go home, but if you do, there is much to enjoy just 15 minutes away: more walking, horse and even bike trails, lots of history and a museum at the Chattanooga Chickamauga National Battlefield; more wildlife and a diverse array of native plants at the Chattanooga Nature Center; downtown Chattanooga with its Aquarium, the children's Creative Discovery Museum, movie theatres, shops and fine dining; and of course there is historic Lookout Mountain with the world's largest incline railway, Rock City and Ruby Falls; not to mention the world famous Chattanooga Choo Choo with an elegant rose garden, specialty shops, dining and live entertainment. If you're in the mood for dance or romance, take a dinner cruise with a live band on the Southern Belle down the Tennessee River. You'll make a visit to Eagles Rest a regular event! A Great Place for all Seasons!